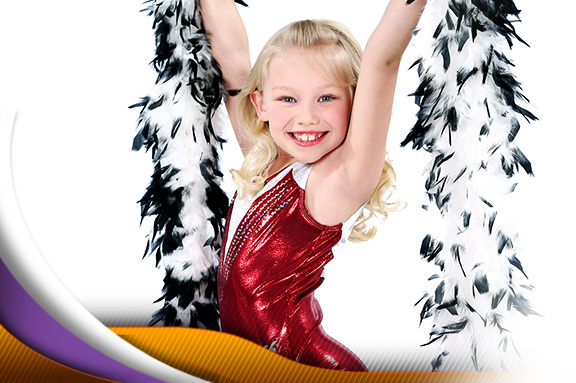 SSD&G offers a wide variety of dance classes taught by experienced and dedicated instructors! On this page you will find information about each genre of dance class that we offer as well as our pricing information. Feel free to fill out our online Registration Form, contact us with any questions or request more information! Becoming a great dancer or gymnast requires commitment and dedication. Bringing your child to every class and practice that you can will improve their skills and increase their confidence. When your child notices that you are devoted to making that time commitment, they too will begin to appreciate the hard work and dedication to follow their dreams! What most SSD&G students find exciting about learning perseverance is noticing improvement as a result of hard work. The whole process, as with patience, relies on attentiveness. Keeping your child involved in classes will maintain their strength, technique and growth. SSD&G offers many opportunities for students to perform and be a part of a team. Everyone is expected to contribute the same amount of effort as the next person. Teaching your child to think about others rather than just themselves is an important lesson to learn in the dance/gymnastics environment and used throughout life experiences. Our dance studio in Indiana, Pennsylvania offers a wide variety of classes. BALLET - A classical form of dance based on traditional positions of the arms and feet. It can be mastered itself or used as a technical base to other dance forms. Our classes consist of barre exercises and center floor work. We focus on body alignment, awareness, proper use of feet and legs, execution of turnout and carriage of the upper torso and arms. Physical maturation interacts with training to allow readiness for each level in ballet. Teachers work to refine skills and build proper technique at each skill level. Ballet requires mental and physical discipline and repetition to train the muscles. Note: Students must be six years old to enroll in ballet classes. TAP - Tap focuses on rhythms and intricate footwork, creating a percussion instrument out of the dancer’s feet. Classes emphasize the development and strengthening of basic tap technique and terminology, and highlight the importance of rhythm and sound. SSD&G teaches Broadway or “show tap” which incorporates upper body and use of arms. Tap shoes are required. Classes offered for ages 2 and up! HIP-HOP - Hip Hop is a high-energy class that uses the latest sounds in rap, R&B and pop music together with movements influenced by some of today’s top video choreographers. Hip Hop, while urban, diverse and forever changing, encompasses movement that has element of popping and locking, and breaking. Prior dance training is recommended. Dance sneakers are required. Please do not wear street shoes into class. Classes are available for students ages 6 and older. Musical Theater: Classes focus on the interpretation and implementation of characters and emotions. Classes provide students the opportunity to explore acting exercises, simple movement for musical theater and an introduction to singing. Student will learn songs and movement from current and classic musicals in preparation for their Showtime performance. POINTE - Pointe is a part of classical ballet technique in which a dancer supports all body weight on the tips of fully extended feet within pointe shoes. Instruction given to advanced ballet dancers only. Significant training and ballet experience is required. TECHNIQUE (TECH) - A technique class that focuses on flexibility, strength and technique. *Required for all SSD dance lines. JAZZ - Jazz is an exciting and ever-evolving dance form full of rhythm, syncopation, passion and life. Steeped in the rhythm of jazz music, a true American art form, jazz dance brings energy and life to all those who dance it. Classes explore body isolations of the head, shoulders, ribcage, feet and arms. The technique derives from ballet and modern dance and it is influenced by the musical styles of each succeeding decade. Classes available for students 4 and older. LYRICAL - Lyrical dance is a style that combines elements of ballet, modern and jazz techniques. It is commonly set to popular music with vocals or just instrumental bars. The name lyrical comes from the word “lyric” because dancers use the lyrics of a song or instrumental to inspire them to create certain movements or show expression. The goal of a lyrical dancer is to use gesture, facial expression, and controlled movements in order to execute their movements and emotions fully. Due to its demand for intermediate to advanced technical skill and emotional focus, this class is designed for the intermediate and above dancers who are enrolled in both jazz & ballet.